Please join us in celebration of community members who have made extraordinary contributions to Children’s Center and the field of child abuse intervention and prevention. Delivering the keynote address at Children's Center Honors, Emmy Award-winning actress Sonia Manzano played Maria on Sesame Street for over 40 years. In so doing, she provided a valuable service to help children understand health, wellness, empathy, body safety, and family. 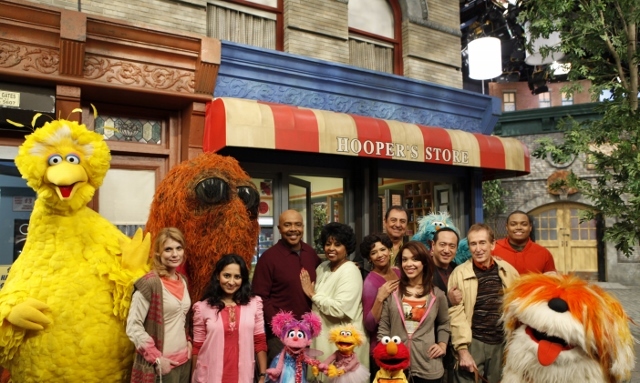 Sonia retired from Sesame Street in 2015 and published a memoir, entitled "Becoming Maria: Love & Chaos in the South Bronx" about growing up with an alcoholic father, witnessing violence and hope, and building resilience, ultimately becoming an inspiration to millions. Join us when doors open at 6:45pm to tour the museum and enjoy after-dinner snacks and drinks! We will honor friends of Children’s Center who have made extraordinary contributions since our founding. This celebratory event will raise funds for Children’s Center and spread awareness of the vital work to support and medically assess children who are suspected victims of abuse or neglect. Your sponsorship will be visible to approximately 400 event attendees and will be highlighted on our website, annual report, and social media.